Finding mice in your home is always an alarming discovery! These furry invaders are well known for their tendency to spread disease, which can put the health of you and your family in jeopardy. Mice are known to carry salmonella, hantavirus, and even plague on their bodies and in their urine. 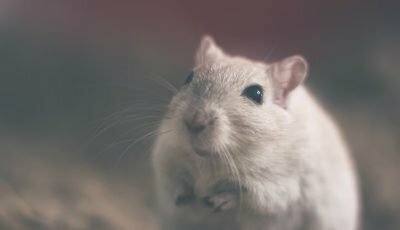 These harmful bacteria can be transferred by mice to food preparation areas, cooking utensils, and food, or through the bites of fleas carried in their fur. 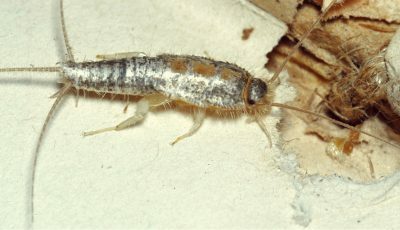 They can also nibble their way through furniture and, in large numbers, leave an unpleasant, musty odor in your house. Even finding just one mouse can be cause for alarm; these tiny rodents can hide with ninja stealth, and there are always more lurking just out of sight. They can also breed at lightning speed, multiplying their numbers in no time at all. If you don’t act immediately, you could well end up with an infestation on your hands. When you find mice in your home it is, therefore, crucial that you act immediately. But how can you go about ridding yourself of rodents? There are dozens of methods you can use to eradicate mice from your home. From electric traps to poisons, the market is awash with rodent removal products. The most commonly used types of mice traps are snap traps, glue traps, humane traps, and electronic traps. Each has its merits and pitfalls, and which one you choose will depend on a variety of factors. So, which is the best mouse trap to suit your personal needs? 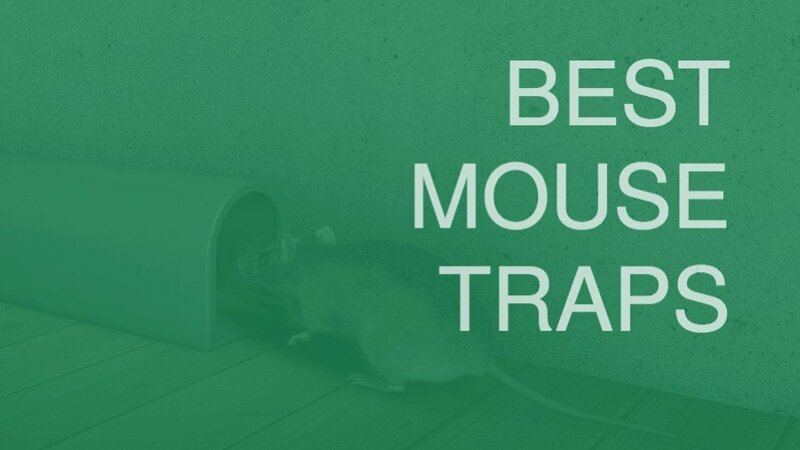 Read on for the best mouse traps on the market, so you can decide how best to deal with your mouse problem! 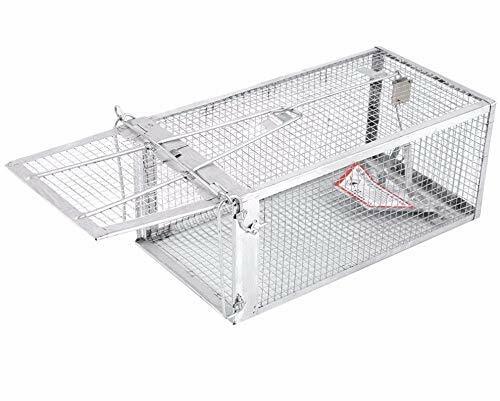 The Kensizer cage trap works wonderfully for the humane capture of mice and can be used to effectively remove small numbers of rodents from your home. Setting the trap is very easy and takes no time at all; simply lay your bait, open the door, and lie in wait! For best results, place your trap in areas with high levels of rodent activity and use a high-protein bait, such as peanut butter. Once a mouse is tempted inside, it will trip the sensitive trigger mechanism, causing the door to quickly swing shut. Once your mouse is trapped, take him to a location away from your property and open the door to set him free – simple! The handle on top of the trap makes the cage easy to transport and empty and the mesh is strong enough to withstand the gnawing of tiny teeth. This will hold your mice securely inside until you check the trap, so you can be sure there will be no escapees. The major benefit of using humane mouse and rat traps is that there is no need for poisons or potentially dangerous mechanized traps. This makes them highly suitable for use in households with pets or small children. However, the design of the Kensizer trap feels a little flimsy and it may not last as long as you need it to. It may be also unsuitable for containing larger rodents, such as rats, which could chew through the soft mesh with their sharp teeth. The Authenzo humane mouse trap model has a more durable design than many cage traps, as it is made of a study, ABS material rather than mesh wire. This plastic mouse trap is suitable for both indoor and outdoor use and will withstand the test of time, for long-lasting results – perfect if you have an ongoing problem with mice! As with the Kensizer model, it is super-easy to set up and has a sensitive trigger mechanism that works every time. If you have children or pets in your household, you can’t get much safer than the Authenzo trap. It’s completely non-toxic and, what’s more, the design of this trap creates a complete barrier around the mouse. Where mesh traps may allow fingers to be poked inside, this model keeps the mouse safely sealed away (though it still has air holes to prevent suffocation). Unfortunately, the design of the Authenzo trap makes it tricky to clean after use. The door also closes very quickly and firmly, with some customers reporting that mice had gotten their tails stuck or even amputated as a result. 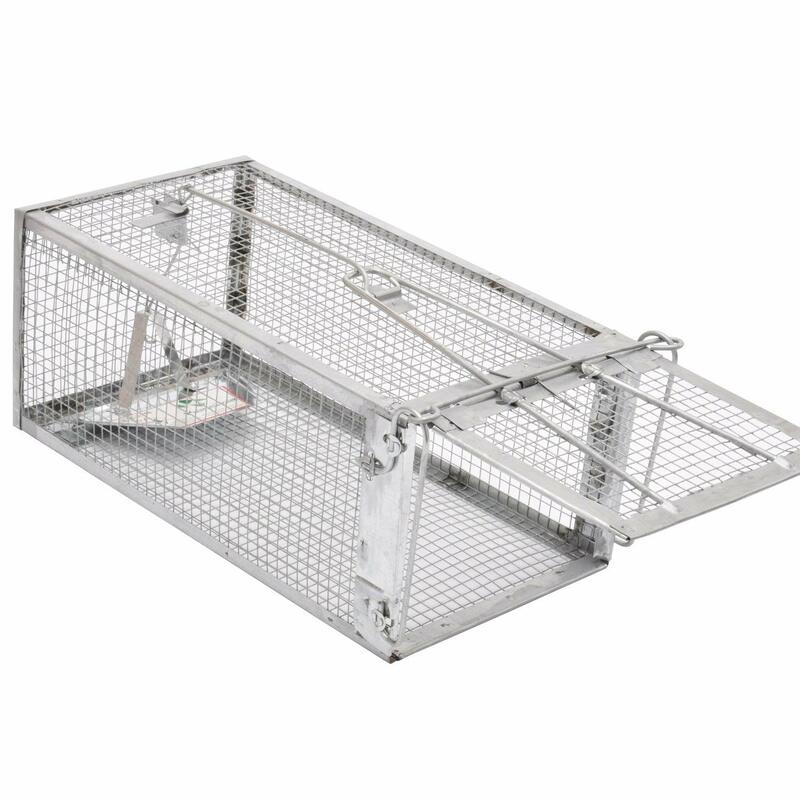 The AB Humane Trap makes catching and releasing rodents easy and effective. Like other models on this list, this cage-style trap is very easy to set up and has a high capture rate, thanks to the sensitive trigger mechanism. Although there is no handle, the cage is easy to carry via the wire mechanism attached to the door on top of the trap. The design of the AB trap is fairly sturdy and perfectly adequate for containing mice. However, the mesh is soft and can easily be chewed through by large rats and squirrels, despite claims that it is suitable for larger rodents. 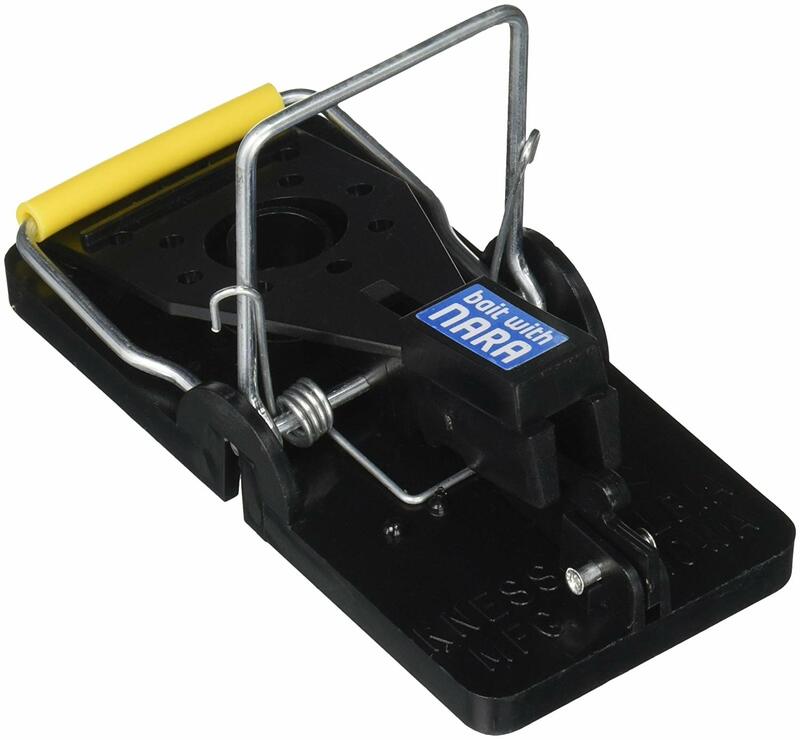 The AB trap can be used as both an indoor and outdoor mouse trap and functions without any need for poisons. It is highly versatile and suitable for use even in households with small children and pets, for effective and humane rodent removal. 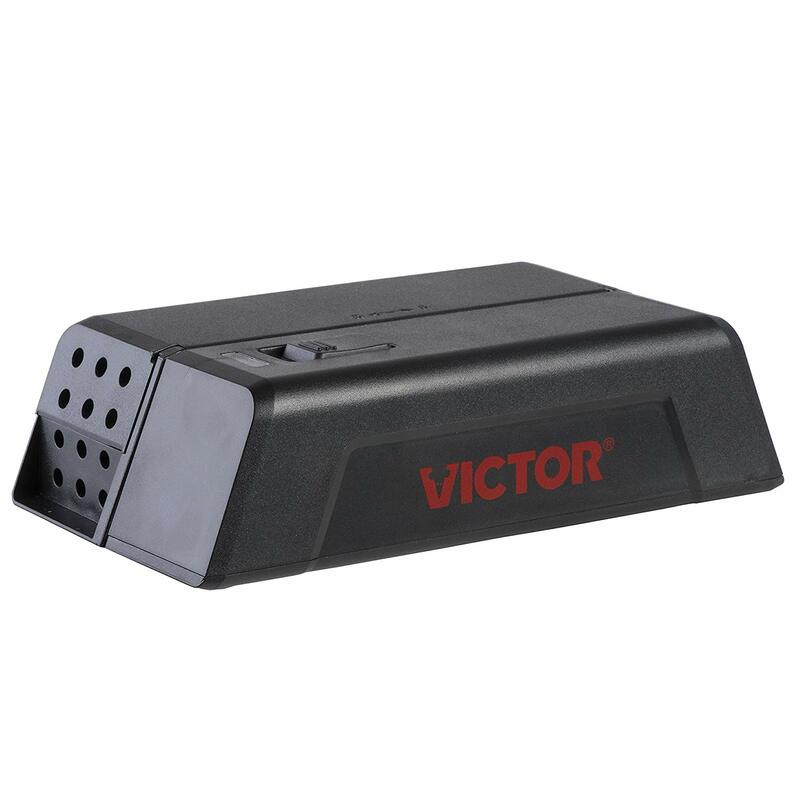 The Victor Electronic Mouse Trap is a highly effective way to kill mice and is very easy to set up and use. Simply bait the trap, turn it on and wait for it to do its job! The device zaps mice with a high-voltage shock, killing them as soon as they enter the ‘kill chamber.’ Dead mice can then be simply tipped out into the garbage, meaning you don’t have to touch the rodent at all. The ‘kill chamber’ is also removable, making cleaning and re-baiting the trap quick and easy. The LED light system makes it easy to tell if you’ve caught a mouse, without any need to look inside the trap. If you share your home with children or pets, this is a non-toxic, hazard-free alternative to using potions or snap traps. 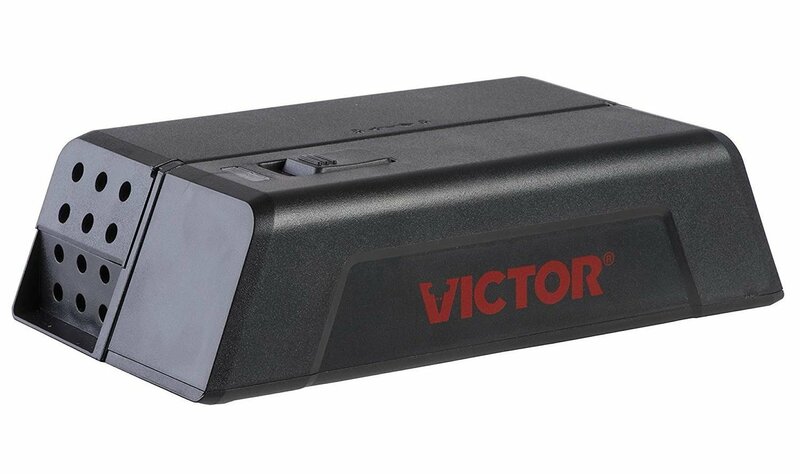 The Victor electronic trap has a high kill capacity and is able to zap up to 100 mice per set of 4 AA batteries. However, it can only kill one mouse at a time so, unless you buy several traps, is not a very efficient method of mouse removal. If you only have to deal with one or two mice it can get the job done within a few days; however, if you have an infestation, it’s unlikely to be of much use. 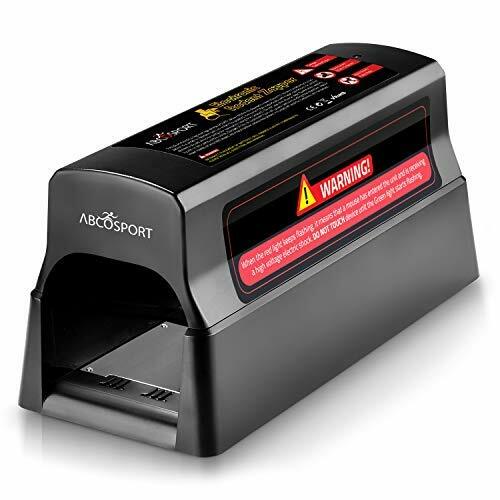 The Abco Electronic Rodent Zapper packs a punch and can be used to kill not only mice but other, larger rodents, too. This device humanely kills rats and mice by delivering a powerful, 7000-volt shock for an instant, pain-free death. The smart circuit technology is able to detect rodents the instant they step onto the metal plate, leaving no room for escape! It’s absurdly easy to set up and use and very simple to clean, too. There’s no need whatsoever to touch the dead rodent; just tip the trap over the garbage and your catch will slide out into the trash. The innovative LED light system makes it easy to tell when the trap needs to be emptied and will blink green to indicate a kill. The Abco electric rodent trap can be plugged into the mains power, so you needn’t stop using it if your batteries run down. Although this device is highly effective for killing any rodent that wanders inside, you may have trouble convincing them to do so. Older rats especially are wise and wary creatures and may take some time to venture into the kill chamber. The functionality of this device also seems to be quite variable, with some customers complaining that it doesn’t work, or stops working shortly after purchase. This easy-to-use electronic rodent trap is very simple to set up; simply bait the trap, flip the switch to ‘on,’ and wait for it to work. The rat zapper trap will quickly electrocute any rodent that steps onto the metal plate inside, killing them within seconds. Once you’ve caught a rodent, the blinking LED light will indicate that the trap is full. Clean-up is as easy as set-up – just tip the dead rodent into the trash, with no mess and no need to touch! 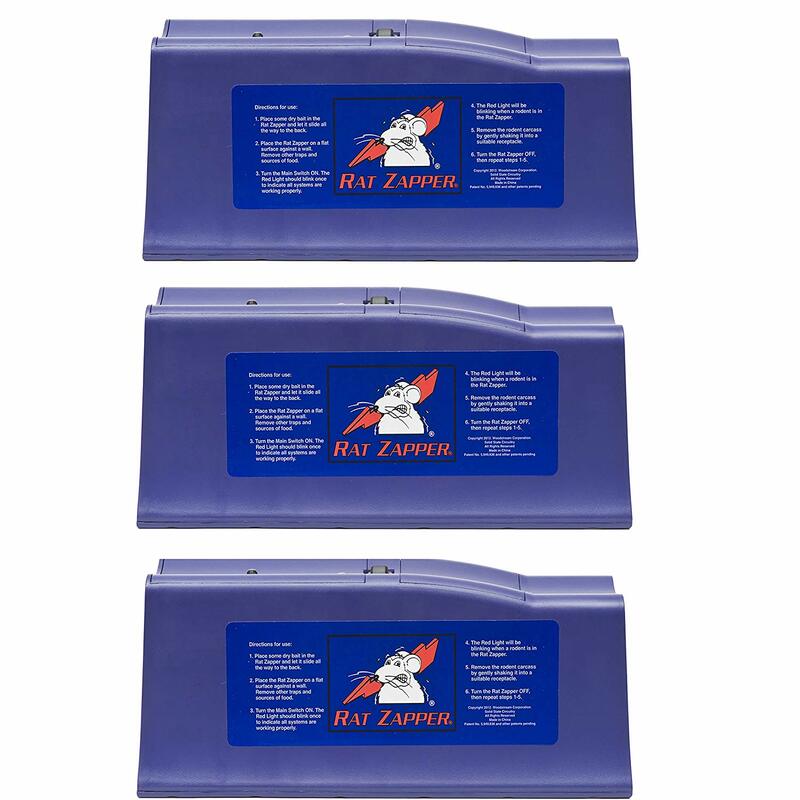 As with other electronic rodent traps, this rat zapper is a safer alternative to poison baits and snap traps. This is ideal if you happen to share your home with young children or pets that may tamper with the device. Unfortunately, the Rat Zapper Trap has a reputation for ceasing to work after just a short period of time. The electric plate will stop zapping if there is any dirt or moisture inside, with some customers reporting that it stops working altogether after just a few kills. It may also be less powerful than other models listed here, often stunning, rather than killing, rats. The JT Eaton Mouse Trap is a new take on the traditional snap design and is much safer to use than the old school, wooden traps. The upward-facing red label indicates clearly when the trap is set and ready to go. This can be done either by hand or foot, reducing any risk of snapped fingers! Being able to easily tell when the trap is properly set also reduces the risk of false alarms, for more efficient extermination overall. Once set and ready to go, the high-tension spring mechanism will quickly snap shut and kill any mouse that takes the bait. The traps are quick and easy to empty, clean, bait and reset and, with 24 of them to a pack, are a fast and efficient way to remove large numbers of mice from your property. With snap traps, there is no need to use poison baits, making this a more humane (and less hazardous) method of eradicating mice. It may have an innovative design but, unfortunately, the JT Eaton Mouse Trap apparently has a variable hit-rate. Some users report that the traps are often not triggered or, if they are, are not powerful enough to instantly kill the mouse. The high-tension spring mechanism of the Kness snap trap makes killing mice both quick and humane. With a sensitive trigger mechanism and a lightning-fast response time, this trap instantly kills any mouse that takes the bait. The trip mechanism is highly sensitive, with a large paddle that mice can’t help but walk across, guaranteeing a high hit-rate. It’s quick and easy to empty and reset, making this the perfect choice for anyone tackling large numbers of mice. When it comes to emptying the Kness mouse trap, there’s no need to get your hands dirty. Simply push the lever to release the rodent over the trash, re-bait, and re-set! 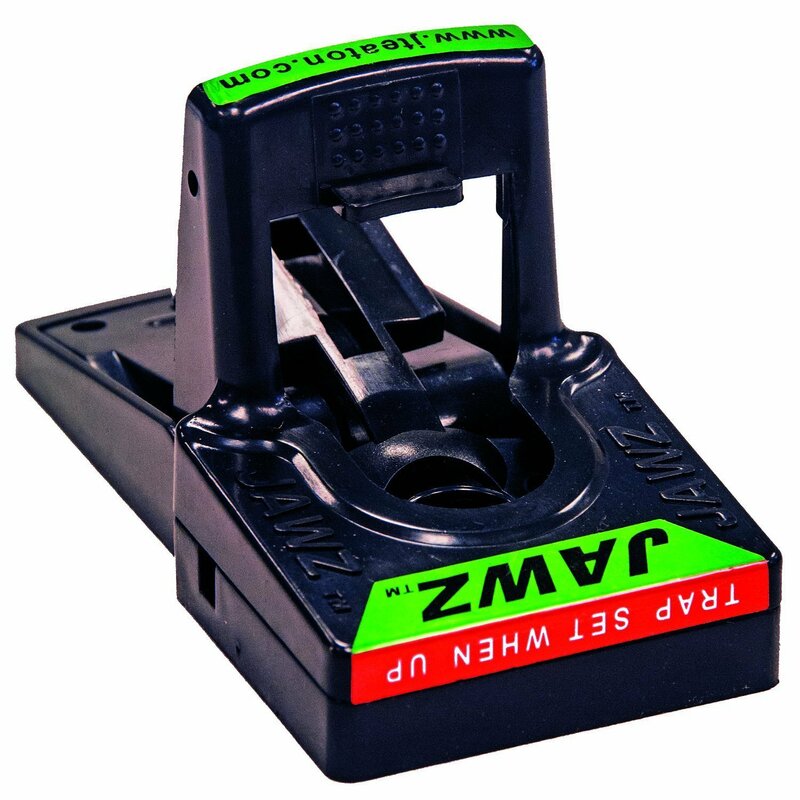 The durable construction of the Kness Snap-E Mouse Trap means it can be used again and again, which is perfect if you have a recurrent mouse problem. However, it is not large enough to be used on bigger rodents, such as rats. This trap is relatively safe to set, minimizing the risk of injured fingers. However, as with all snap traps, it is not suitable for use in households with children or pets. The Victor Mouse Snap Trap has a traditional, wood and wire design; when something works this well, why change it? 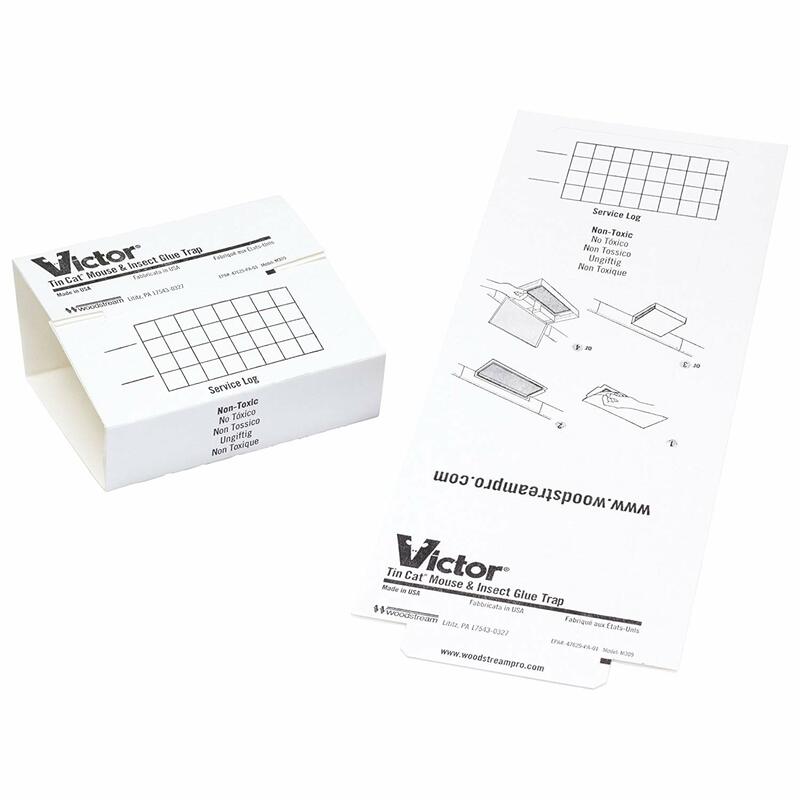 Victor is a highly reliable mouse trap brand, and their snap trap is no exception. This old-school wooden mouse trap gets the job done, quickly and humanely dispatching any mice that take the bait. The large pedal of this snap trap is easily triggered, allowing no room for escape, and the spring mechanism is powerful enough to ensure an instant kill. 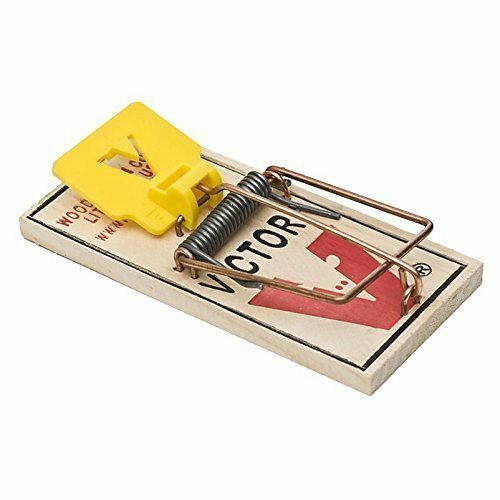 As with all snap traps, there’s a risk of injury when baiting the Victor mouse trap. This one, in particular, has a very powerful spring mechanism which, while great for killing mice, also makes it easy to snap a finger. However, the sensitivity of the trap is adjustable, which can make setting the trap a bit safer. Although a little trickier to set up than other snap traps on this list, the Victor model has an almost guaranteed hit rate. It is also strong enough to ensure a quick kill, making it more humane than less powerful traps. This makes removing mice from your property a quick and efficient process, which is great if you’re trying to clear an infestation! This large and super-sticky glue board is a highly effective way to remove mice from your home. Simply bait the glue trap with a high-protein snack (like peanut butter) and leave it in an area with high levels of rodent activity. Mice will run across the sticky surface and quickly become trapped! The glue board will hold them in place until you check the trap; however, it may not kill them. This will leave you with the task of finishing the job yourself; an unpleasant aspect of glue traps that many people are unprepared for. 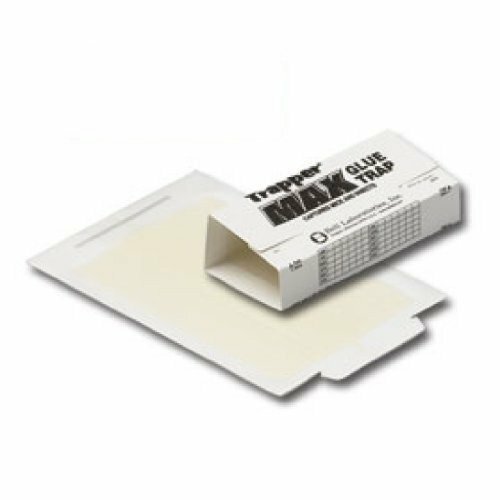 The Trapper Max Glue Board has a large surface area of 29 square inches, making it possible to catch several mice at once. However, the board is made of paper and it may be possible for mice to chew their way to freedom. Several users also report that larger mice are able to escape these glue traps, and they definitely won’t hold larger rodents, such as rats. The Victor Tin Cat Mice Glue Board is extra-sticky, making it far more effective for catching mice than the Trapper glue traps. Once baited, they can be placed along skirting boards, in basements, behind furniture, and anywhere else mice typically hang out. Once they’re placed, all you have to do is sit back and wait! It’s only a matter of time before a mouse ventures onto the sticky surface and becomes trapped by the glue. 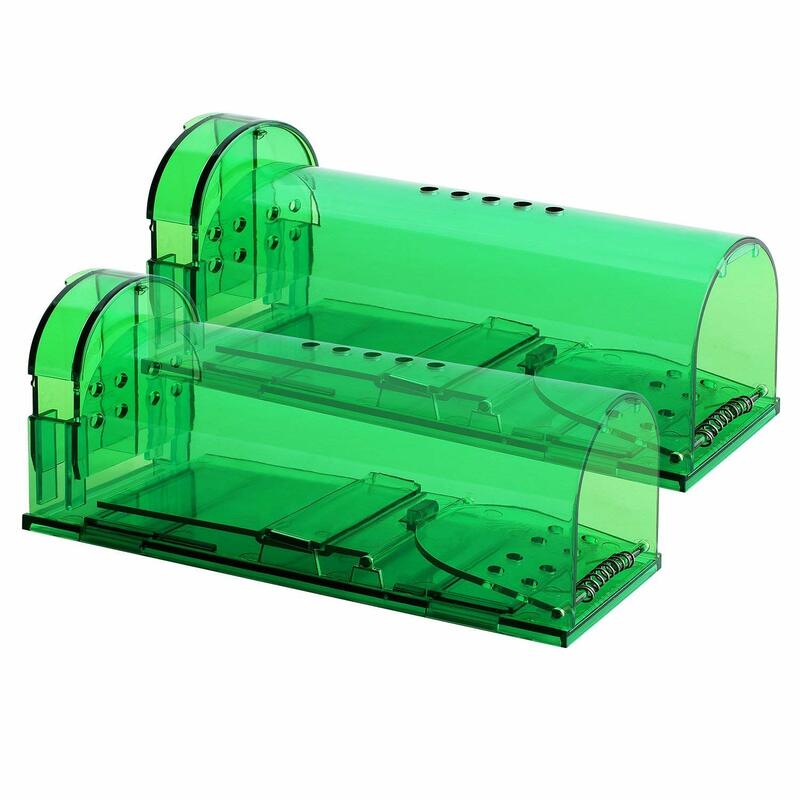 With the Victor glue trap, you have the option of either opening them out flat or leaving them enclosed to create a sticky tunnel. If you’re after mice, opening them out is a better option, as they may be more reluctant to enter an enclosed space. Although these traps are effective most of the time, larger mice may still be able to escape. Even if you do catch a mouse, the glue board may not kill them, and the mice will have to be dispatched by drowning. ALAZCO Glue Traps are perhaps the most effective sticky boards for trapping mice, and are an effective way to remove rodents from your home. They are not as big as the Trapper glue boards; however, they can be linked together to create a large, sticky surface that mice can’t escape. They are just as easy to bait and use as other types of glue trap, and the peel-off release paper makes them very convenient to clean. Glue traps work without any need for poisons or potentially hazardous snap mechanisms. This makes them a potentially safer alternative to other methods of rodent removal. However, they are not necessarily lethal. This means you may have to kill the mouse yourself once you discover it on the trap, making them less humane (and more upsetting) than other types of mouse trap. 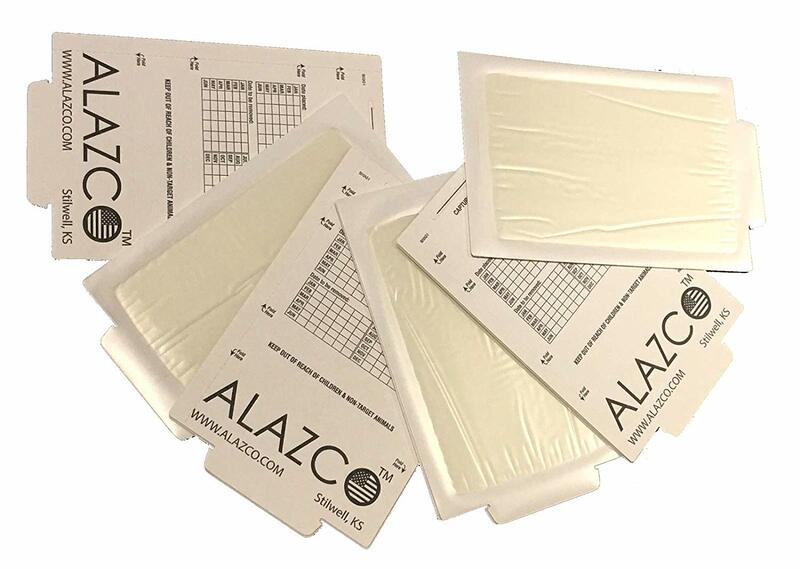 Although the ALAZCO glue traps are more effective than other types of glue trap for catching mice, they may not work for large mice. WHEN SHOULD YOU USE HUMANE MOUSE TRAPS? How do humane mouse traps work? Humane mouse traps work by luring mice into an enclosed box, cage or tunnel. These are usually baited with a high-protein treat, which is placed at the back of the trap. As the mouse enters the trap, it will trigger a mechanism that causes a door to close behind it. This entraps the mouse inside without harming it, so it can be safely released at a site away from your property. Who should use humane mouse traps? The main point of humane mouse traps is to remove rodents from your property without harming or killing them. They are also a safe alternative to poisons, snap traps and glue traps, making them a great option people with children and/or pets in their household. WHEN SHOULD YOU USE ELECTRONIC MOUSE TRAPS? How do electronic mouse traps work? Electronic mouse traps kill mice quickly by delivering a high-power electric shock to any rodent that enters the kill chamber. The device is baited to tempt rodents inside, which they zap once they step onto the metal plate within. These smart mouse traps are a high-tech method of rodent eradication, and are extremely easy and efficient to use. They are very simple to set up, and emptying them is completely mess and hassle-free. Who should use electronic mouse traps? The key advantage of electronic mouse traps is how hands-off they are. Setting them up is incredibly easy (simply lay your bait, switch them on, and wait), and emptying them doesn’t require any handling of the dead rodent. They fact that they instantly kill mice also makes them relatively humane, and they are safe to use even in houses with children and pets. WHEN SHOULD YOU USE MOUSE SNAP TRAPS? How do mouse snap traps work? Snap traps are one of the oldest and most reliable methods of killing mice in your home. They have a spring-loaded mechanism that quickly snaps shut when triggered, bringing a steel bar down on the back or neck of the mouse. In most cases, this kills the mouse instantly. Who should use mouse snap traps? Mouse snap traps are a simple, fuss-free way of killing mice in your home. These reusable mouse traps are inexpensive and easy to use, and can be used to clear large numbers of mice from your property. They are, therefore, great for people dealing with large infestations of rodents. However, the risk of injury is higher with snap traps than any other type of trap, as they can be triggered during baiting. WHEN SHOULD YOU USE MOUSE GLUE TRAPS? How do mouse glue traps work? Mouse glue traps work by trapping mice on a sticky surface. They are very easy to set; simply bait them with a high-protein treat and leave them in areas with a lot of rodent activity. Once a mouse walks across them, they will stick to the glue board. This will hold them securely in place until you check the trap. Unfortunately, glue traps may not kill the mouse, and you will have to finish the job yourself by drowning the mouse. Who should use mouse glue traps? Mouse glue traps are a relatively safe method of mouse removal, as they don’t involve the use of poisons or mechanized traps. This makes them more appropriate for people with children or pets; however, they are very sticky and can adhere tightly to skin or fur if touched. If you find evidence of mice in your home, you will need to act quickly! Removing mice immediately is important to prevent an infestation from taking hold. In large numbers, mice can spread disease, damage furniture and cause an unpleasant odor in your house. 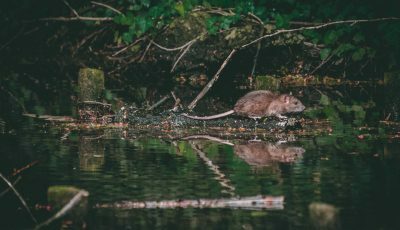 There are several options available when it comes to rodent eradication. Of these, the most popular traps are snap traps, glue traps, electronic traps, and humane traps. Working out which is the best mouse trap to buy will depend on various factors. In particular, you should consider how many mice you have, how humanely you want to dispose of them, and whether or not you share your home with children and/or pets. How Do Exterminators Get Rid Of Mice?